We all love pets!! What could be more inspiring than this collection of 365 daily anecdotes about pets and their unconditional love? This book of the lessons that animals teach us will be such a great gift to treasure for years to come, for both you favorite pet lover and/or yourself!! Sometimes human communication falls short in conveying spiritual truth. God speaks through whatever means He chooses and often he chooses animals. Dogs teach unconditional love. The purr of a kitten can bring peace. Horses show us how to harness our strength with grace. 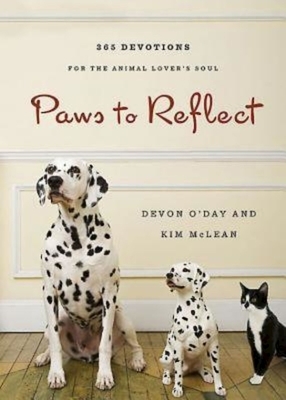 Paws to Reflect offers gentle daily reflections for those who seek to grow spiritually by observing the animal kingdom and all the lessons it teaches.